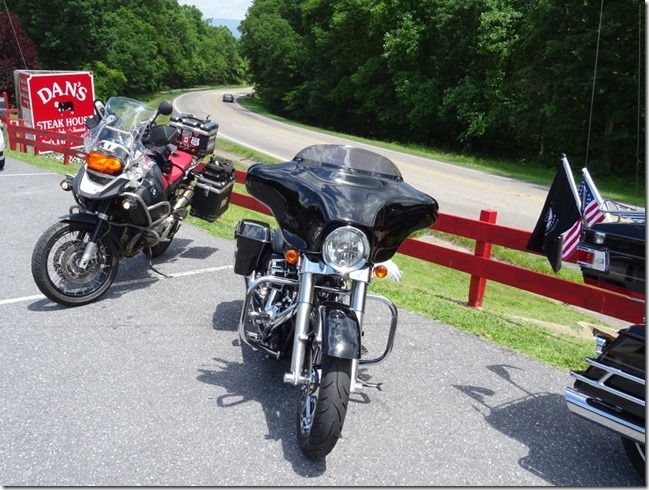 Today was a fantastic 470km ride down to a town called Dublin, Virginia off I81 as I make my way to New Orleans to meet Rupert on Wednesday. Instead of the expedient route down which would typically follow I95 via Charlotte and Atlanta, I have elected to go inland and see parts of the US which are more off the beaten track where I can sample typical Americana in a way one wouldn’t ordinarily as a tourist. Saying goodbye to Bert and Margaret after a wonderful evening at their beautiful home. This decision has immediately paid dividends with the first 150km running down Skyline drive through Shenandoah national park (which was awesome), followed by a twisty road through rural Virginia where I stopped at a typical roadhouse called Dan’s steakhouse alongside the road for lunch. The weather at the moment is unbearably hot so the altitude of the skyline drive was a cool reprieve until I came down and joined I81 again. A lesson I have learned before but had forgotten today is to read the weather. Usually, when the weather is hot and humid in the morning, there are typically thunder showers in the afternoon. Today was no different and when I was only 50km from my destination where I would be spending the night, the heavens opened with all taps running at full pressure. 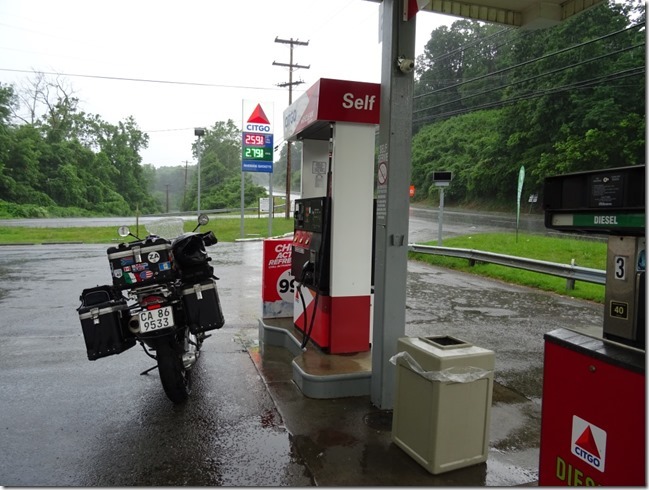 I was soaked through within 60 seconds as I didn’t bother to stop and put on rain gear figuring it would be over in a few minutes…..it wasn’t, and by the time I stopped for cover it almost seemed pointless!!! 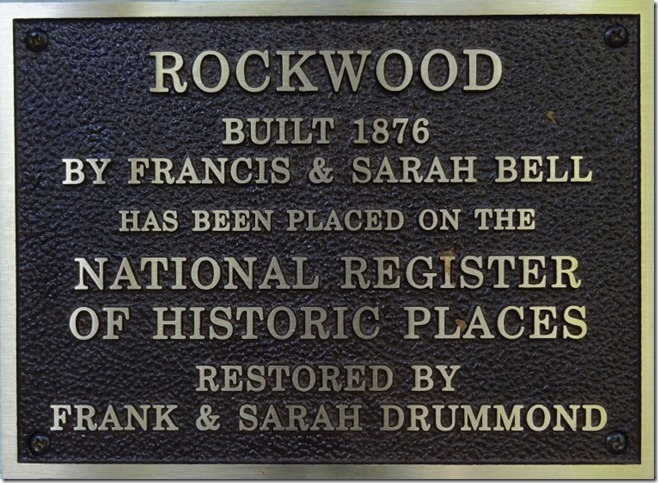 I am spending the night at a fantastic bed and breakfast called Rockwood’s which is a historical house built in 1876. 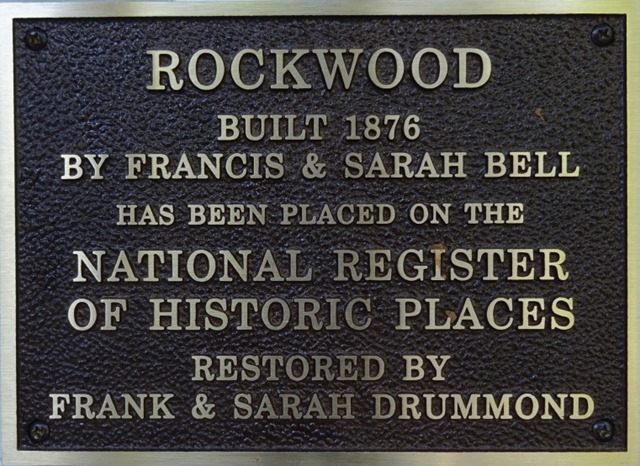 Rockwood is set in the middle of a farm in rural Virginia with views over the mountains. What made this place particularly special was the note on the door on my arrival. It said “We have gone out, let yourself in and make yourself at home”! I did, and had the best nights sleep! You have to think of a side car for Jacqui and Sasha. Am sure she is having instant withdrawal symptoms when she starts reading your blogs . It was such a treat to visit with you as passed through on your journey west. 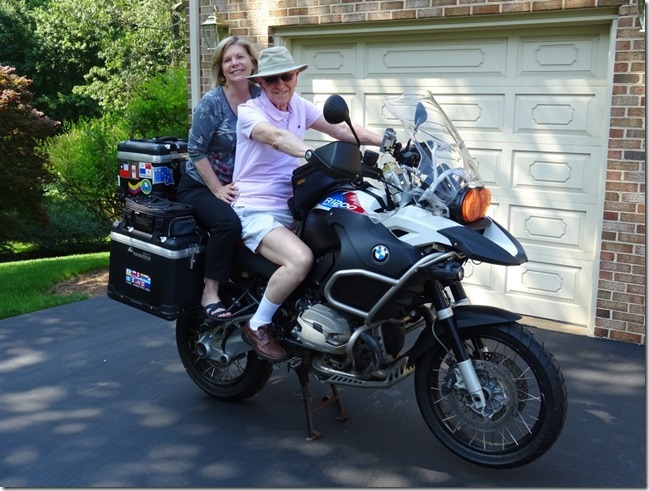 We’ll follow your travels on this blog. Great picture of Margaret and me on your very impressive bike.